Graduating from the University of Melbourne is just the beginning. The next step, whether it be into a career, more study, or some other, unknown challenge always feels like more of a leap, but as a UoM alumni you’re part of an international community, that offers all kinds of opportunities. 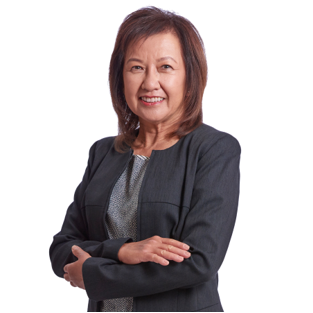 We spoke with Gloria Goh, Past President of the University of Melbourne Alumni Association in Malaysia to find out more. How do you feel your experiences at the University of Melbourne set the course for your life since? It was the holistic experience as an international student that polished, sharpened and opened my mind up to a world of possibilities. Leaving home for the first time, flying for the first time, arriving in a country I had only known through my Geography and History books, and through correspondence with a young Australian penfriend, it left significant impressions and memories. Being the first in my immediate family to pursue a tertiary education, I felt privileged, and was hungry to absorb all the academic and cultural experiences I had access to within the University of Melbourne, and among the student community. It was the senior international students who reached out to the greenhorns and provided guidance and support. With their help, I was able to obtain part-time work to pay for all my living expenses. I am eternally grateful to both my Australian friends and Malaysian elders and peers at the University of Melbourne. To this day, I feel a strong bond and kinship with anyone who is an alumna/alumnus. This has led me to participate in the set up of the University of Melbourne Alumni Association in Malaysia. I started my career mentoring role at the Mentoring Program offered by Faculty of Business and Economics over 7 years ago. It was a way to give back to the UoM community. Why do you think it’s valuable for Alumni to engage with Alumni events and networks like ask Alumni? Being a graduate of the University of Melbourne is just the start of a lifelong relationship with other alumni. A young graduate will find knocking on doors and making cold calls challenging, perhaps even daunting. The extensive alumni network around the world, yes, around the world, with experienced alumni able and willing to share their business knowledge and experience, perhaps even their contacts, provide morale support and be a sounding board, is an incredible resource to all alumni. Alumni, looking for career opportunities and community support, should consider joining the annual Welcome Home Event in their home country or in the city they have relocated to. They will find themselves warmly welcomed. Senior and seasoned alumni, will find reaching out to young alumni and mentoring enriching. One can do this through Ask Alumni. Are there specific events or opportunities you recommend in particular? Alumni communities outside Melbourne jointly host annual Welcome Home Events with the University of Melbourne’s Advancement Office. Such communities may have regular activities too. In Kuala Lumpur, there are the 1st Friday catch-ups and annual dinners. The annual Dean’s Event by FBE which are opened to all alumni is always well attended. The Vice Chancellor’s visits are highlights for alumni. Do you think your experience as UoM alumni helped shape your professional career? I was fortunate to have met wonderful people early in my career who became my role models. The late Professor Emeritus CHIN Hong Foong, inaugural President of the University of Melbourne Alumni Association in Malaysia, was the epitome of “Service before Self”, had a “Never Give Up” attitude, and a nurturing character. He inspired me to always give my best and to nurture younger colleagues to reach their potential. Look after your health. It is key to your approach to life, both personally and professionally. Maintain your integrity. Be passionate. With passion, you will enjoy challenges. Work will be a joy, not a chore. Have empathy. Be observant and be a good listener. Understand the other party – their goals, plans and needs. Then, you can develop to be a good employee, colleague, service provider, entrepreneur, business owner, boss. Have a sense of urgency. Learn to prioritise and stay focussed. Be prepared for life-long learning. Have an enquiring mind. Challenge the status quo and seek to improve. Be able to laugh at yourself. We learn more from our mistakes. Pick yourself up and try again. Above all, enjoy your life.